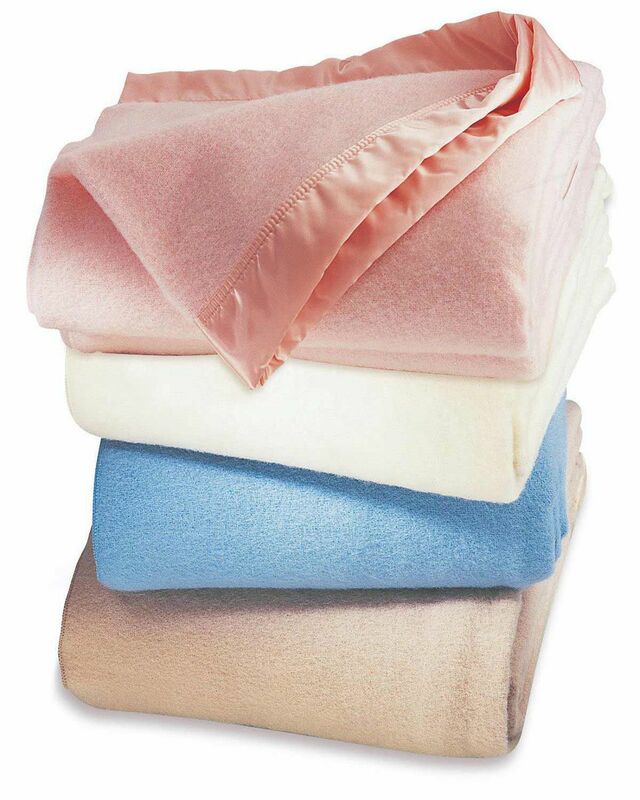 Made in England fron the finest pure wool, these satin bound blankets are of exceptional quality, very warm and will last for years. Pink, Cream, Sky blue, Champagne. Dry Clean. Please note a £2.00 heavy item surcharge will be added to this item.